Christine Couzens MP is set for a big 2019. I want to thank the people of Geelong for the great privilege of being re-elected for another term as the Member for Geelong. It has been a great journey for me having had the opportunity to work with many organisations, community groups, unions, businesses and individuals. Geelong is a great place to live and has become the vibrant city it should be as the largest regional City in Victoria. I look forward to continuing to advocate for the people of Geelong. I will continue to advocate strongly on behalf of the Geelong electorate’s State Schools. All students should have access to a high-quality education, no matter where they live. The Andrews Government will provide the committed funding of $6 million to Newcomb Secondary College, $3.2 million to Newcomb Park Primary School. Geelong’s grassroots sporting clubs play a significant role in our community, particularly with young people. I am very proud of our ongoing commitment to female participation in Sport. Geelong will soon benefit from the Andrews Government commitment to a new Women and Children’s Hospital for the Geelong Region and the final redevelopment of GPAC. As committed, the Royal Commission into Mental Health will commence in March 2019. There has been huge interest right across Victoria, including Geelong. If you would like further information, contact my office. The new 30 free TAFE courses have commenced and there has been a great response at The Gordon TAFE. The free TAFE courses open up real job opportunities improving employment options, particularly in industries where there is a skill shortage. 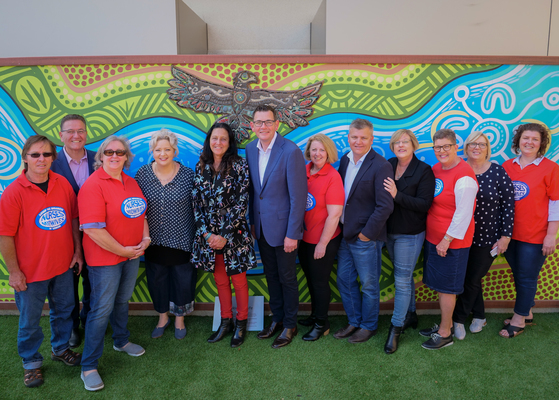 The Jobs Victoria Employment Network (JVEN) is the Andrews Governments commitment to help long-term job seekers facing barriers to employment and getting them into jobs. The JVEN service is delivered by employment specialists who work closely with employers to identify job opportunities and prepare jobseekers for those roles. I have had the opportunity to meet both employers and people who have gained employment through the JVEN and have seen the success first hand. I am excited that we can now continue to deliver the many projects committed to in this new term of government.